For me, the question is not whether you should have an engagement shoot, but why you should have it. It captures you at your happiest. That exciting, pre-wedding era of your life is such an important one. While your wedding photos will definitely capture that happiness and excitement, it’s also wonderful to have pictures of you, as a couple, without any of the trimmings. Love shoots are all about the two of you, without the distractions of décor, family, friends and time sensitivity. They give you the chance to be yourselves and to have pictures where your personalities and your identity as a couple really come through. If nothing else, an engagement session is just the perfect way to capture you both while you’re on top of the world. 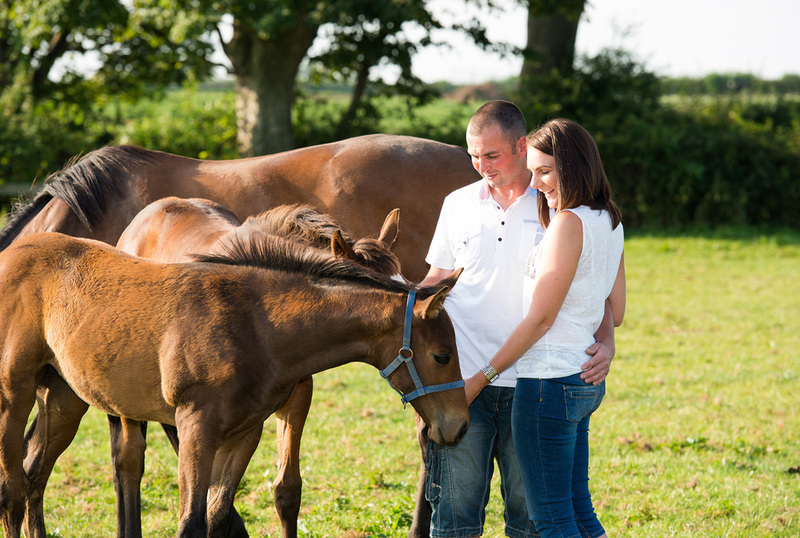 Sarah & Jonny | Engagement Photo Shoot | Rural Farm Location | Lancashire. It builds confidence in front of the camera. Some people are naturally photogenic, confident and are very aware of how they look when photographed. For others, though, having their picture taken (particularly in a time-sensitive and highly emotional situation) is a daunting prospect. Having a pre-wedding or engagement session can do wonders in alleviating some of those worries and takes some of the stress out of planning the wedding. A love shoot helps you to not only find your own best angles as individuals, in a less pressured situation, with the help of a professional photographer, but also helps you to express yourselves more naturally as a couple. 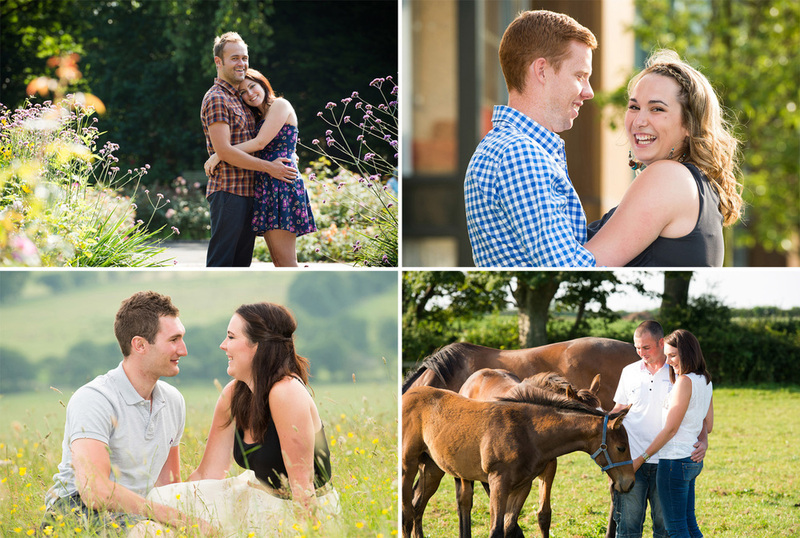 It can feel very awkward to kiss and be affectionate when you’re aware you’re having your picture taken (and for it to look authentic) but an engagement shoot is the perfect chance to get comfortable in front of the camera. Jayne & Danny | Love Shoot | Stanley Park | Blackpool | Lancashire. You get to know your photographer. Being a wedding photographer is a big responsibility – it requires a huge amount of trust between the couple and the photographer as it’s all down to the photographer to capture every moment of the big day. An engagement session is a chance for you to get to know and be more at ease with your photographer, and to see their work in action. It also means that when it comes to the real thing, you’ll be used to working together and more able to speak up if you want something done a certain way. It also shows in the wedding photos when the couple is more relaxed around the photographer. It helps the whole process and gives the pictures that extra spark, as when you’re really at ease those magic moments can really happen. • Decide what kind of a shoot you want. Some couples are very artistic and creative and like to tell a story, dress in a certain style and even use props or have their shoot at a specific location. Others want a simple documentation of who they are as individuals and as a couple – there’s no right or wrong way to do it. • If the shoot is close enough to the wedding, brides can save money and look fantastic by scheduling their hair and make-up trial for before their engagement shoot. • No matter what, it’s great to get experience of being photographed. It helps to have your engagement shoot with your actual wedding photographer though, so you get to know each other. • Don’t be afraid to ask your photographer to use the engagement shoot to help you with your angles and positioning. If you need to lift your chin or move your arm back to find your most flattering and natural look, it’s best to learn this before the big day. • Don’t be too shy to look in love – it is a couple’s shoot after all! It may feel weird at first but after a while you’ll forget there’s even a camera there. • Bring a save-the-date sign. That way you can use your pictures as part of your save-the-date cards! Hannah & Jonathan | Pre-Wedding Photo Shoot | Beacon Fell Country Park | Lancashire. If you do decide to have an engagement shoot, the most important thing is to make it all about both of you and to have the pictures you really want. Good luck. Newer:Kerrie & Robert's First Wedding Anniversary!Older:Why Hire a Professional Wedding Photographer.